At Hotel Hell, we take care of everything, including the small things that make a holiday unforgettable. That is why, over the years, we have introduced in our hotel a variety of small, helpful services to improve the quality of the stay of all our guests. 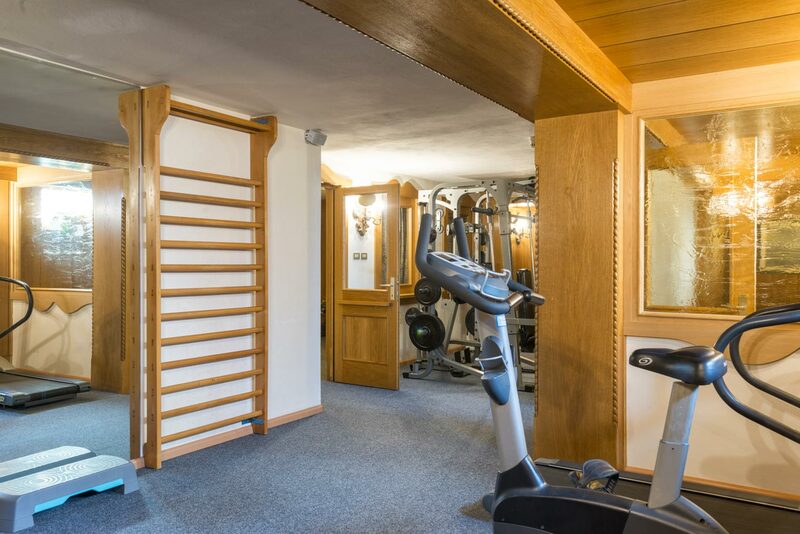 Our gym, equipped with Nautilus and Techno Gym machines, is the ideal place for those who, even on vacation, do not want to give up their workout routine. Here you will find many multifunction machines, which will allow you to perform a wide range of exercises. In our gym there is also a special leg training machine, ideal for skiers who want to prepare themselves to face even the toughest trails of Val Gardena. After a day of outdoor sports or when the rain forces you to stay at the hotel, there is nothing better than enjoying a few hours of relaxation in our cozy wellness area. There is a room for aroma therapy here, a hot Finnish sauna and a steam bath. And after the heat of the saunas, you can immerse yourself in the whirlpool, use the Tanning Booth or relax on our water mattresses. 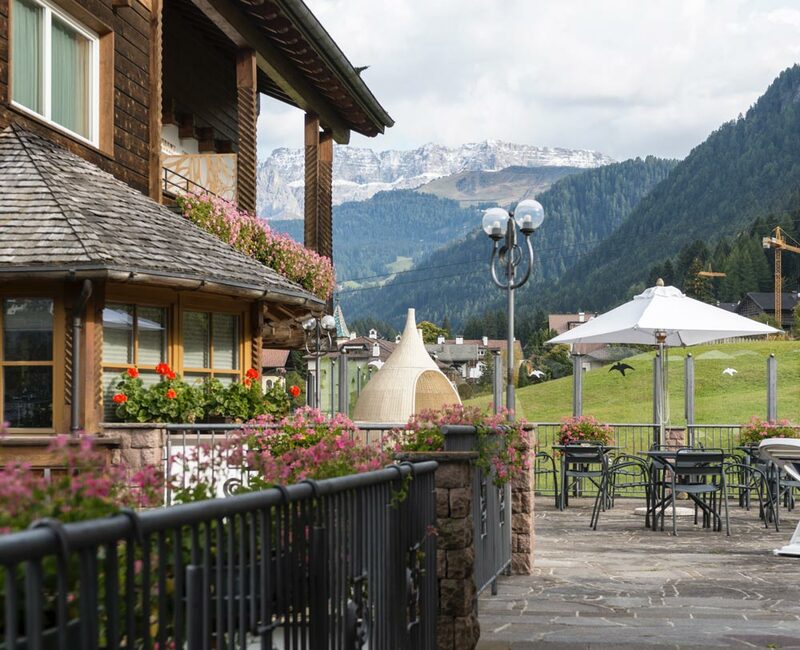 Val Gardena is full of postcard panoramas but our hotel guests do not have to go far to spot one. They can admire a beautiful panorama directly from our terrace. The view of the Sella group is breathtaking and the best is to enjoy it from the deck chair or the whirlpool. During the summer, when the heat is felt either in the mountains or in winter after an intense day of skiing, there is nothing more pleasant than a dip in the pool. The large aquatic center “Mar Dolomit” adjacent to the hotel, along the Promenade, will allow you to practice swimming in the large 25-meter pool. For the little one’s slides and games even in outdoor and heated tanks. Entrance to the hotel is offered free of charge to guests of the Hotel Hell.